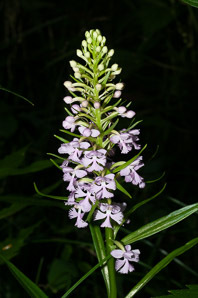 Habenaria fissa (Muhl. ex Willd.) R. Br. nom. inval. 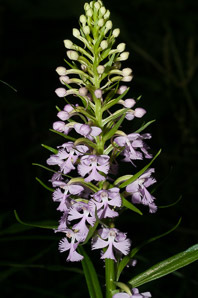 Habenaria fissa (Muhl. ex Willd.) R. Br. ex Spreng. Orchis fissa Muhl. ex Willd. Orchis incisa Muhl. ex Willd. 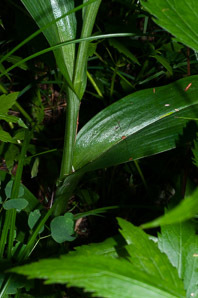 Platanthera fissa (Muhl. ex Willd.) Lindl. 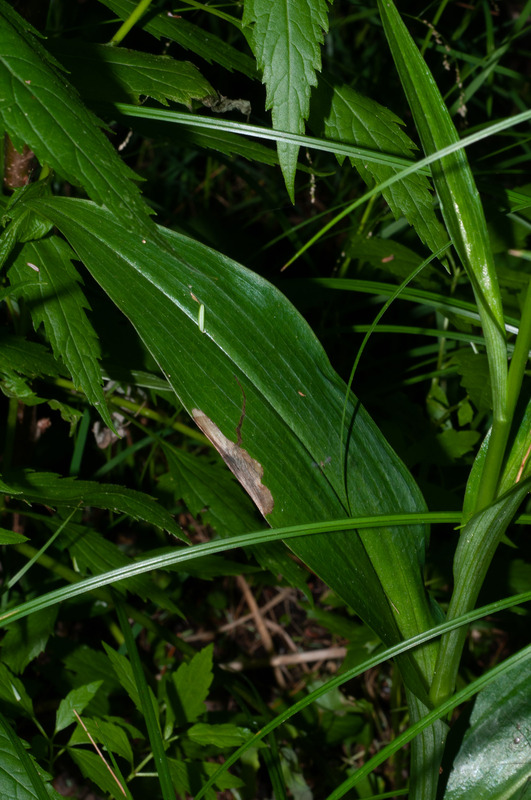 Platanthera incisa (Muhl. ex Willd.) Lindl. These attractive orchids are North American natives. Identification: Plants are 8-39" (20-100 cm) tall, with a single, hairless stem. 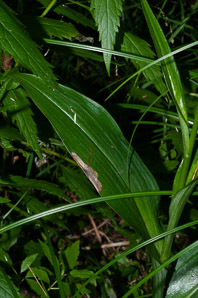 Leaves at the base are oval (elliptic), or sometimes oval but wider at the end opposite the stem (obovate). Further up the stem, the leaves become much smaller and narrower. 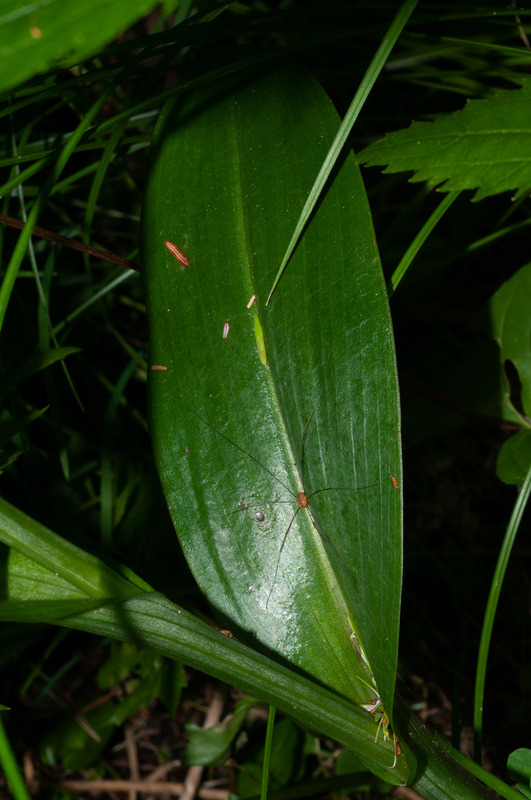 The leaves are alternate, have pointed tips, and parallel veins. A cone-shaped inflorescence up to 10" (25 cm) long tops the stem, containing 20-50 lovely flowers. Flowers are lilac-colored, sometimes more reddish, rarely white; about ½-¾" (1.3-1.9 cm) around, with dainty fringes (fine teeth). 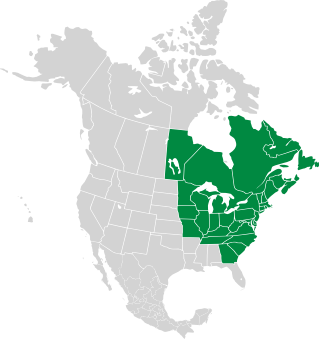 They appear from July to August. Lesser purple fringed orchid has a bigger brother, unsurprisingly called greater purple fringed orchid, Platanthera grandiflora. 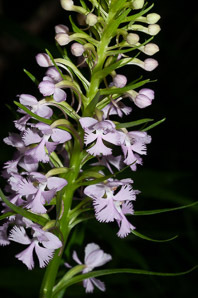 It has larger flowers, with lip petals at least ½" (1.4 cm) wide. Fruits are narrow, three-ribbed capsules on short stalks. Platanthera psycodes description by Thomas H. Kent, last updated 12 Oct 2018.